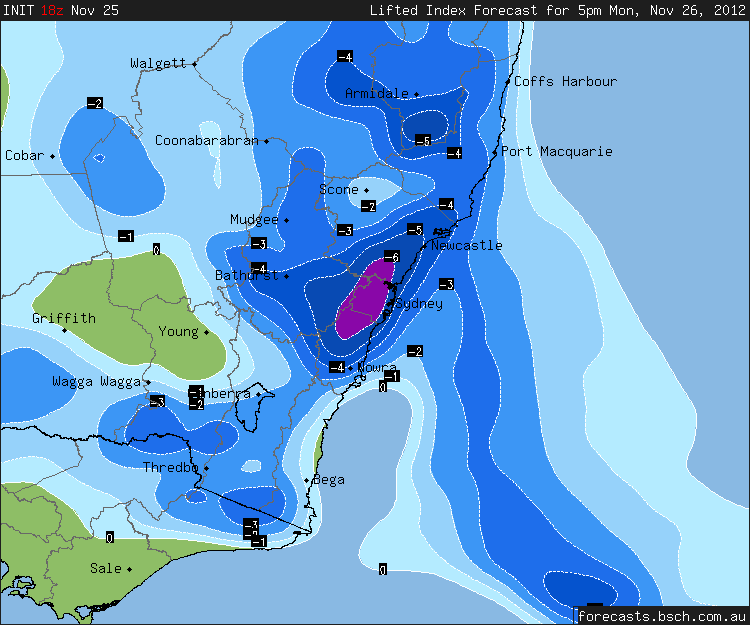 Looks like widespread thunderstorm is likely in NSW today with Sydney and Hunter in the firing line. Expect to see a few severe cells this arvo. I chased today in a small area around Bowral / Mittagong and Berrima. Upon my arrival at 11 am cumulus clouds started to develop and quickly became swelling cumulus clouds. 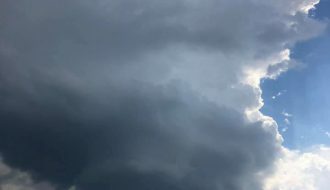 Early afternoon, a very small but weak storm cell built close to where I was. I followed it north to Berrima. That cell lost its strength but another small cell built close to me and rapidly intensified. I chased it and found the rain core. I then followed it to Bowral where it produced a small number of cloud to ground lightning strikes. 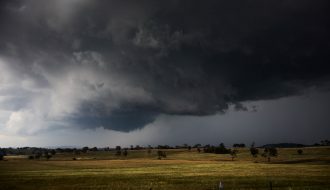 Following that, I went to a lookout on the west side of Bowral and watched another cell develop. This was the most intense cell. As it passed over Bowral, a torrential downpour ensured and I could hear the rain falling over the town from the lookout. 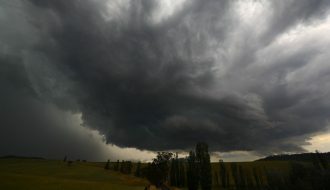 I captured a sequence of photos as it passed over Bowral. A big cloud to ground lightning strike close by sent me back to my car. 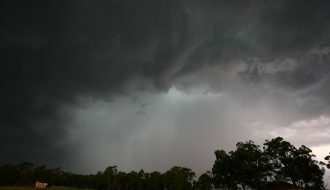 Shortly after that, another storm cell passed over me dropping a heavy shower. Following that, there were no more storms in that area. After a while, I returned back to Sydney. I was amazed to see three small storm cells train after one another passing over me or close to me and only 5 or 6 km wide. They would have crossed the coast to the east. No significant weather occurred on either side but those underneath the storm cells certainly received some downpours and lightning strikes. The photos are taken at a lookout just west of Bowral, although I am unsure of the name of the road. The road connects Bowral with Berrima and I am looking east. It was interesting to note a slight wind change following the third storm from NE to ESE. I am not sure whether a weak southerly change was in the area but I did see low stratus clouds hugging the hills in the distance following the storms. 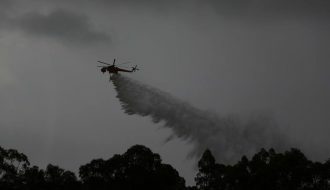 I drove back to Braemar just north of Mittagong and winds were NE there but it was dry. Tried to give chase today! Rather than move around like a rabbit in a field, I remained put and watched. I noted a storm base developing to the north of Plumpton. The radar echos were nothing special and somewhere beyond Windsor. I decided to head toward the Central Coast. Headed up the M7, and then Pennant Hills Road. Then the storm went black on radar with what looked like obvious supercell structure! And then followed by a call from David Croan! Sorry David can’t answer your call but I knew what was going on. The next frame also remained slower moving and v-shaped. I was in position to intercept this beast! Then when in contact with David, the storm had split but also weakened. I could not believe my luck! I have never seen a storm explode to this beautiful structure and slow down so rapidly and then weaken after 2 or 3 frames! No shots of the structure as it was too far away and weakened. I did comment to David that the anvil was still strong as one would expect. Just a mess followed. Another higher based storm approached Gosford later and I put myself in position to intercept it. When I could see very high based once again, I just headed back to Sydney. Some shots below of the detached shelf cloud well ahead of this storm. I stayed in Western Sydney and ended up at east Kurrajong. 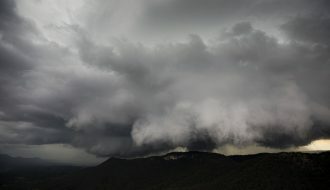 I started at Penrith with the cell that came off the mountains (photo) then I followed the cell that headed north to Richmond. From there I watched a storm explode along the outflow boundary of the earlier stong cell near Colo and this new cell had inflow bands for about 45 minutes before it collapsed and further cell came in from the west and exploded over the same area. 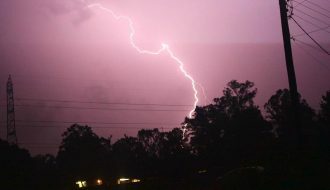 The lightning was amazing and i saw dozens of powerful cloud to ground bolts. I have video but I don’t have time to edit. Here is the picture of the Gosford cell. I must say this year is wierd with storms not really pushing across towards the Central Coast – cooler boundary layer and less shear. Here’s the radar loop for Sydney 26th Nov. I actually sent my own alert to EWN members for that Wisemans Ferry cell – despite the BoM not issuing any warnings. Nice radar imagery – thanks for posting Michael. 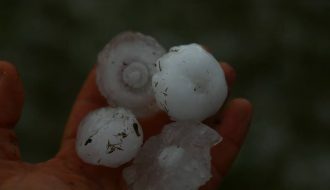 The storm definitely splits even when in a black core state – the second image of the two. Wisemens Ferry residents would have had a good view. Jeff, did you note these storms becoming more surface based? Jeff do you have pictures of the inflow bands as I saw them before I decided to take off myself.